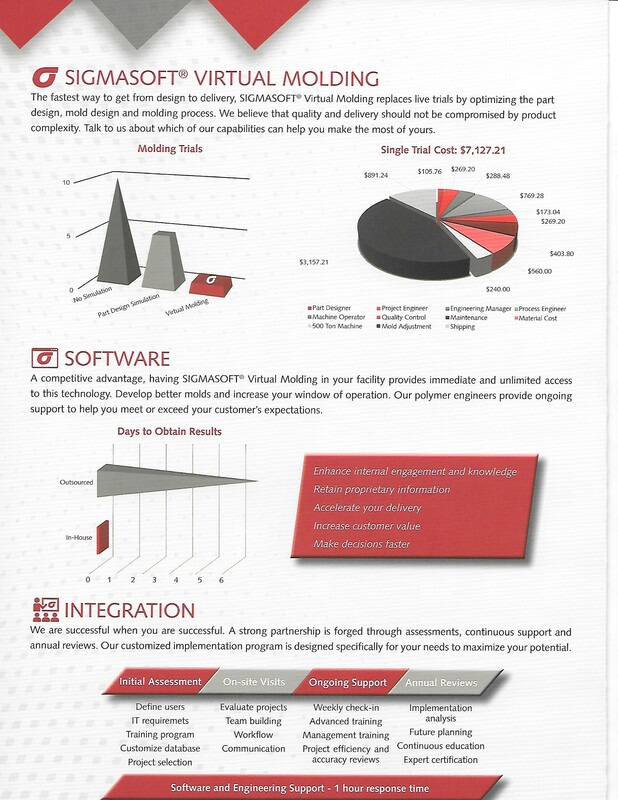 SIGMASOFT® Virtual Molding technology is a unique approach in the injection molding industry. The software was created to evaluate and optimize processes and molds, increasing efficiency, productivity and part quality. SIGMASOFT® Virtual Molding's approach is to consider all the components of the mold with their specific physical and thermal properties. Then, processing conditions are used and multiple consecutive cycles are reproduced virtually, representing what happens in the molding machine during the manufacturing process. 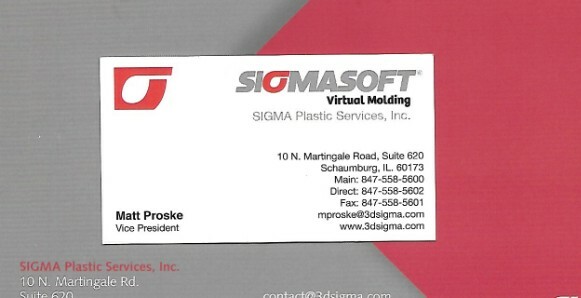 SIGMASOFT® Virtual Molding is performed in the virtual world, accurately reflecting what will happen in the real world. This way, the same conditions that are found on the production floor are replicated virtually. Mold iterations and injection trials are performed independently, freeing up machine occupation, machine hours and personnel availability, while increasing safety, quality and reliability and reducing costs. 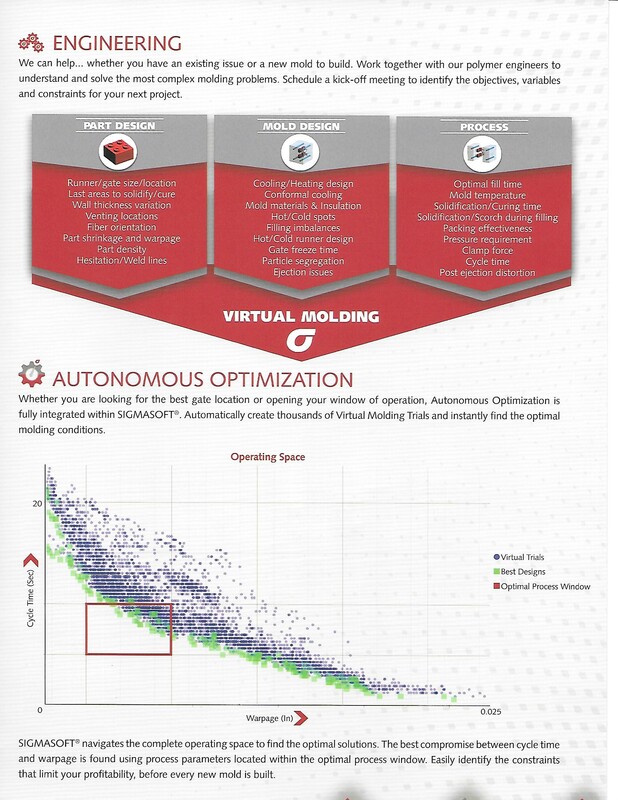 SIGMASOFT® Virtual Molding is a valued communication tool to use between customers and suppliers, consequently reducing development time and minimizing risk. Since troubleshooting is done virtually, utilizing effective planning and optimization of the injection molding process in parallel to the geometry design and mold development, real-world troubleshooting is greatly reduced or even eliminated once actual production is ready to begin.